Muddassar Ahmed is founder and Chief Executive of Unitas Communications Ltd, a London-based international communications and public affairs agency specialising in the interface between the Islamic and Western worlds. He is founding Chairman of the John Adams Society, the official alumni association for US Embassy exchange programme participants in England & Wales, and is also a founding board member of CEDAR, a pan-European network of Muslim professionals, where he currently chairs the Media Committee. 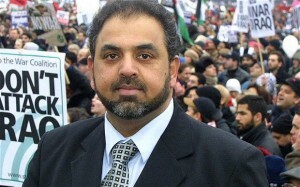 Previously, Muddassar worked as a TV producer and presenter for the BBC and Channel 4. He is currently a member of the Young Atlanticist NATO Working Group. This week, Labour peer Lord Ahmed was summarily suspended by his party for allegedly putting a bounty on the heads of Barack Obama and GW Bush. Despite these allegations being quickly shown to be false, they continued to be widely-propagated in the British media. Muddassar Ahmed says this case has worrying implications for political dissent and media ethics in the UK.